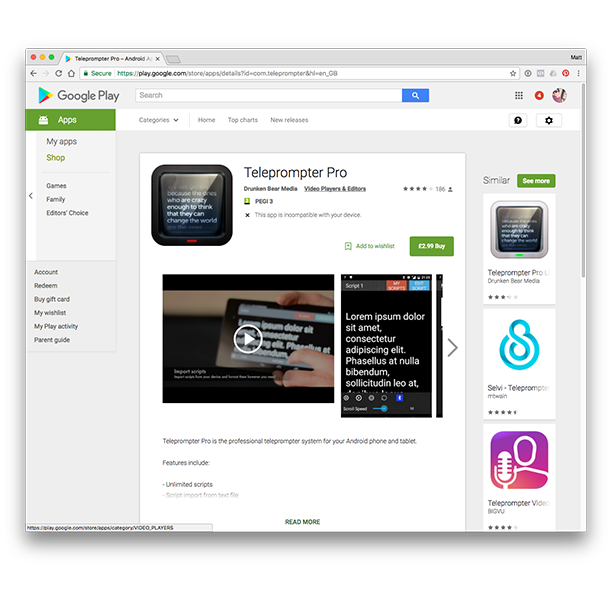 Teleprompter Cloud is the best online tool to turn any of your devices into an easy to use, professional Teleprompter Rig. The Best Teleprompter Solution for Professionals and those just getting started. 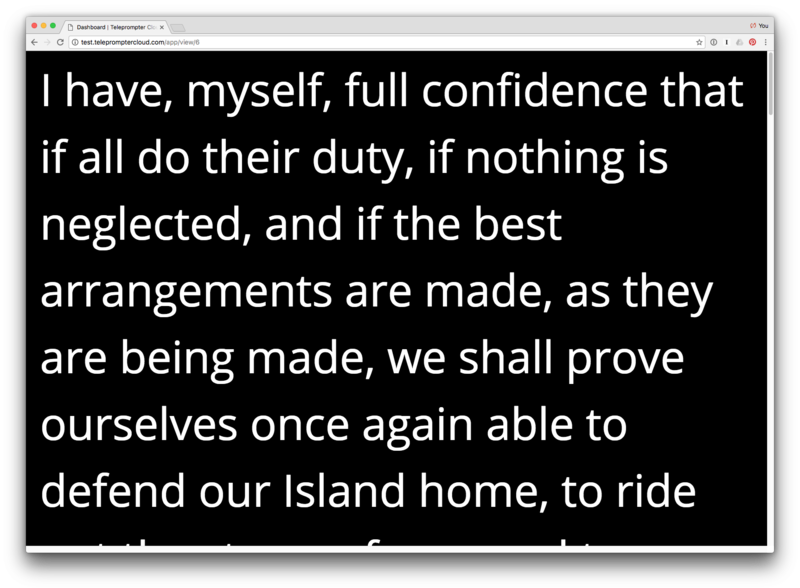 Teleprompter Cloud is a great option for everyone with a need for Teleprompter software. We've got a free plan for those just getting started, and powerful tools for organisations with the need for them. We've looked at all other options and have built something from scratch fitting the needs for the thousands of new online video makers. 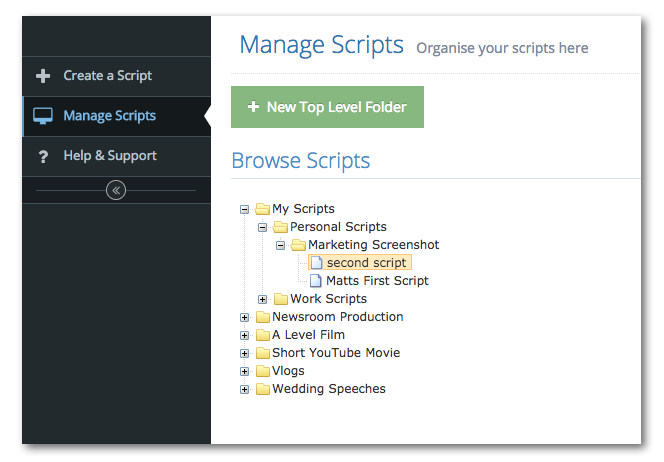 Create, Edit & Manage an unlimited number of scripts. All your projects in one place. 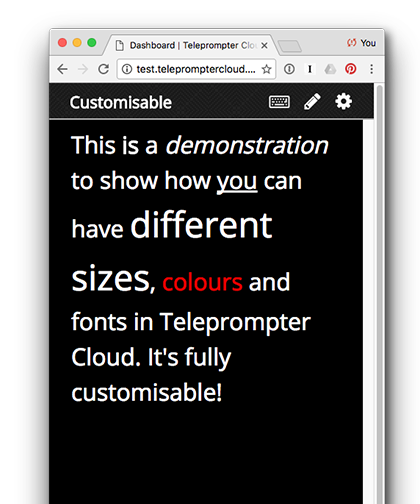 Teleprompter Cloud allows you to write, edit and manage as many scripts as you need, all neatly organised within folders and sub folders. This means you can keep all of your projects separate and quickly find the scripts you need, when you need them. 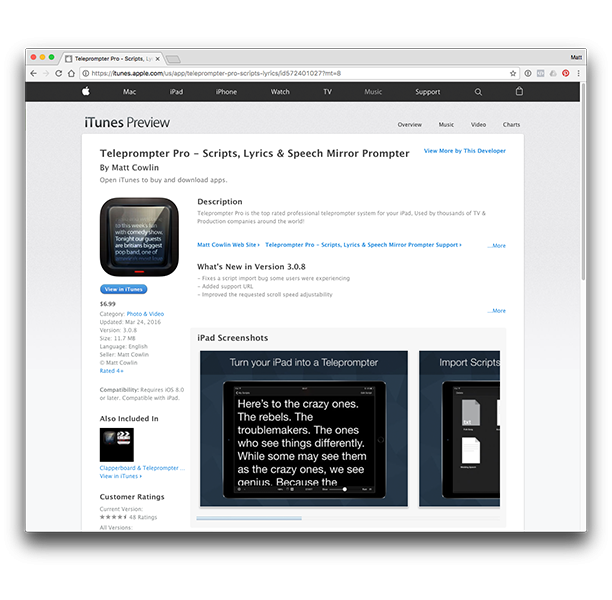 We know from experience with our mobile apps that Mirror Mode was a key feature for all our users. We've made sure to include it in Teleprompter Cloud, meaning you're free to use this softare in professional Teleprompter rigs with a mirror set up. 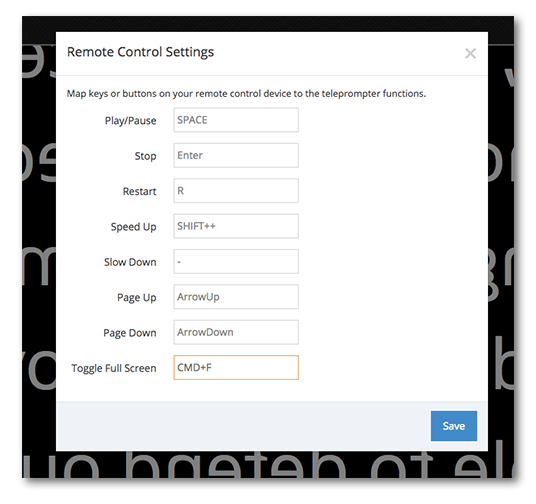 Customisable Keyboard Controls make controlling your scripts easier than ever before. The ability to set custom controls on your connected keyboard make controlling your script easy. Set which buttons you want to start, stop, rewind, fast forward the script and much more. Share scripts across your team. Shareable dashboards are new to Teleprompter Cloud and is something that simply would not have been possible with the iPad app. You can generate a read only shareable URL that can be used by anyone you share it with. Fully customisable scripts and rich text. 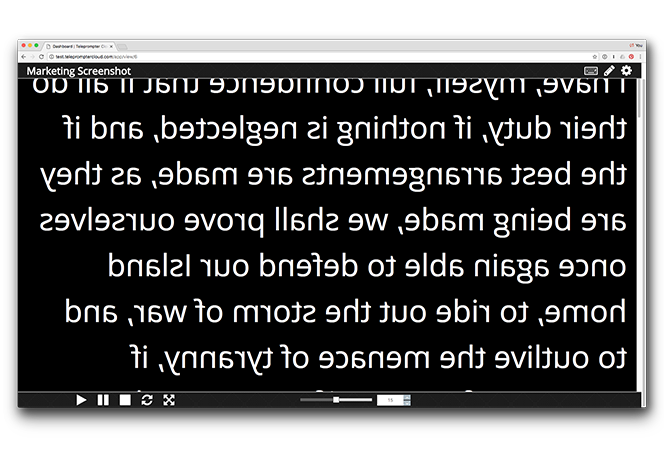 Customise the font, sizes layout, colours and highlight colours of your scripts. Got something that's critical and must not be missed by the reader? Highlight it. Need something emphasised that might not be obvious by the presenter? Use italics.